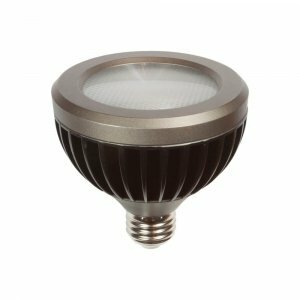 PAR 30 12W – Brilliance LED – (Replaces 75-Watt Halogen) 120v. Select LED Beam Angle	* 25º 40º	 Add LED Bulbs to your fixtures for lower energy consumption and greatly extended bulb life. The PAR (Indoor/Outdoor) Series is designed specifically as an energy saving alternative to traditional halogen PAR lamps, making them ideal for general lighting. Designed for 120VAC, 60Hz universal power, they can be installed into any standard E26 medium socket. The lamps are corrosion resistant. Each lamp is made with CREE XP-E high power chipset.